Supply chain technology investments over the past two decades have made a difference, and most companies do have visibility at some level. But when you ask an executive if their company has full visibility across their global supply chain, chances are they will say no — especially if the executive works at a large company or is in a functional role that covers operations that involve external processes and partners. Silos of information are helpful, but without the full end-to-end singular view, it’s hard to be agile, lean, and efficient. Concepts like full visibility or end-to-end visibility are actually pretty massive if you pause to think about it. Shouldn’t the solution be something like a supply chain Google — a single place where you can locate the status of any item, shipment, event, partner, report, or ETA on any device, updated in real time —encompassing everything from early-stage plans through final delivery and payment on a global scale? And that same system needs to have the smarts to proactively handle disruptions, suggest alternatives, measure impacts, and communicate on a massive scale. If the experts are correct, there will be 50 billion IoT-connected devices by 2020, and many of them are now impacting supply chains. Innovations such as smart trucks, low-cost sensors, mobile apps, and all the new connected things are enabling supply chain innovation through their ability to automatically transmit more granular levels of data in real time. But more data isn’t always a better thing. Making sense and gleaning actionable insights out of petabytes of data is a huge problem for companies, and it will only get worse as more devices come on line. 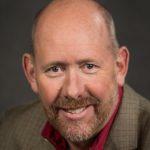 For supply chain visibility projects, IoT data sources are a good thing because they inject a dose of in-the-field reality into the information mix. Reliance on EDI as a source of data has been a long-running challenge, but it’s also not going away anytime soon. Knowing the GPS location of a truck or ship in real time is great, but the real power comes when you add context and understand exactly what inventory is on that truck, the details of the order, and have an accurate, constantly updated ETA. The IoT device can enrich an order information packet, but the hard-to-get information about orders, costs, history, plans, and expectations typically reside deep inside an ERP or TMS type of system. Network-based cloud technology stacks are especially important for linking the various systems, data objects, and partners to a single source of truth, so that everyone and everything is operating on the same information. We are beginning to see some significant value stories that should keep the momentum going. 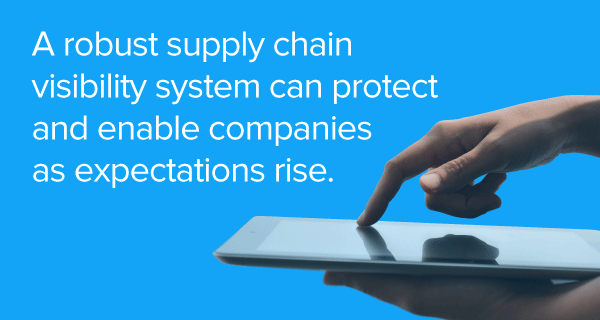 The ability to respond to the unexpected is what makes supply chain visibility so important. Whether it’s huge disasters like the Japan earthquake and tsunami that affected so many, or a localized labor strike that shuts down a key supply source, the ability to quickly see and assess can be the difference between executing on a plan B, or costing the company tens of millions of dollars to deal with a painful disruption when it’s already too late. Today, we are seeing supply chains run at a different level. Thanks largely to Amazon Prime, the bar has gone WAY up in the past few years, even for companies that aren’t in retail. The expectation of rapid fulfillment and high IT pedigree at no or little extra cost could soon become the norm. A robust supply chain visibility system can protect and enable companies as expectations rise — because it’s very hard to be efficient and agile if you can’t see.